The scenario of Hindi film music had completely changed with the advent of seventies . The quality of music of The Golden Era which continued by the middle of sixties had vanished completely. Many new music directors entered in the Hindi film music industry who adopted western style while composing tunes for Indian film songs. 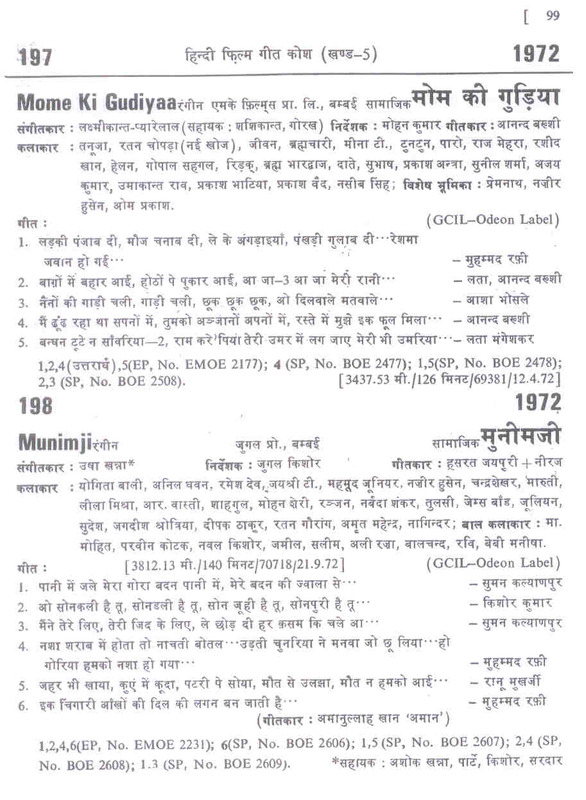 This volume, containing details of about 8,000 songs of 1,327 Hindi (and its dialects) films in 828 pages, was released by Maestro Sudhir Phadke on 31st March 1991 at Birla Kreeda Kendra, Girgaon Chowpatty, Bombay in the presence of Talat Mahmood, Qamar Jalalabadi, Jagmohan Sursagar, Preeti Sagar, Moti Sagar, Kulwant Jani, Chandrani Mukherjee, Tushar Bhatia, Kersi Mistry, Uday Mazumdar, Shiv Kumar Saroj and C.Arjun. 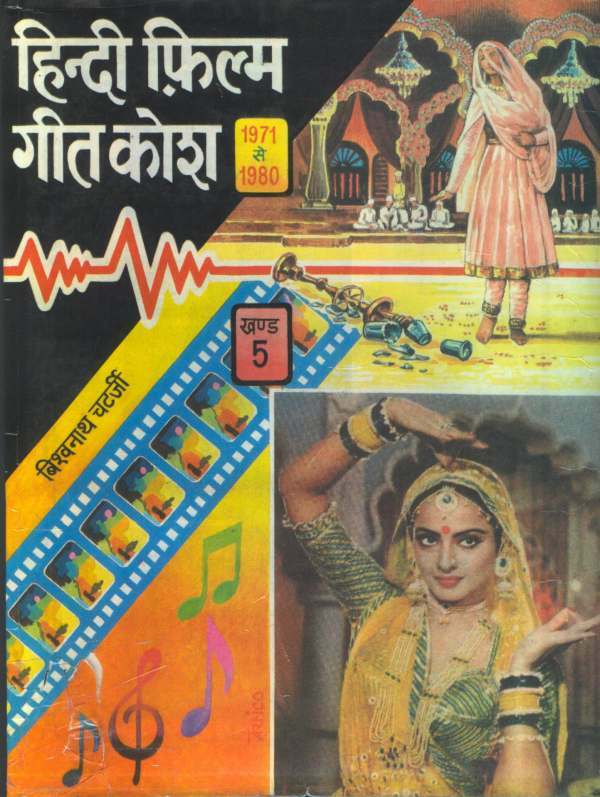 This volume happened to be the fifth in the series of Hindi Film Geet Kosh released in 1991. All the stock of this volume has since been sold out and now, its xerox edition is being provided to the music lovers on demand. Sample page is appended.